In this paper we introduce the novel paradigm of non-realistic 3D stylization, where the expressiveness of a given 3D model is manifested in the 3D shape itself, rather than only in its rendering. We analyze the input model using abstraction, simplification, and symmetrization operators to determine important features that are later represented by new geometry. Doing so, we create a stylized and expressive representation of the input that can be rendered or might be printed using a 3D printer. 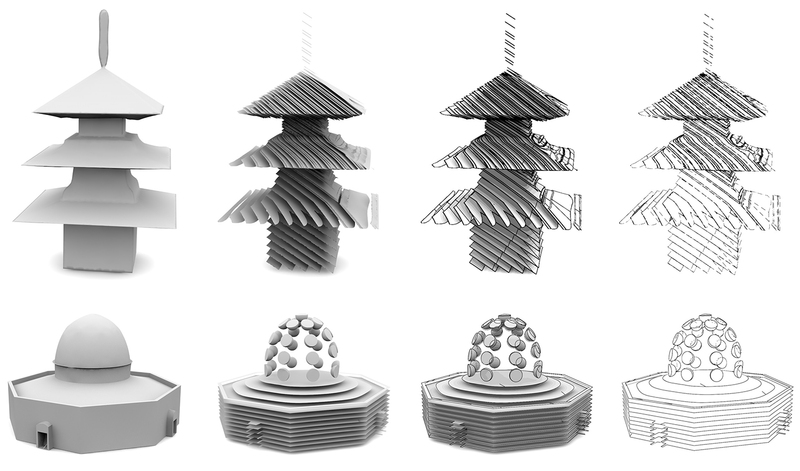 We conducted a user study to verify the proposed stylizations and demonstrate the approach by using standard geometry of buildings as well as natural and technical objects.